Developing sufficient energy resources to replace coal, oil and gas is a globally critical necessity. Alternatives to fossil fuels such as wind, solar, or geothermal energies are desirable, but the usable quantities are limited and each has inherent deterrents. The only virtually unlimited energy source is nuclear energy, where safety of infrastructure systems is the paramount concern. Infrastructure Systems for Nuclear Energy addresses the analysis and design of infrastructures associated with nuclear energy. It provides an overview of the current and future nuclear power industry and the infrastructure systems from the perspectives of regulators, operators, practicing engineers and research academics. This book also provides details on investigations of containment structures, nuclear waste storage facilities and the applications of commercial/academic computer software. Specific environments that challenge the behavior of nuclear power plants infrastructure systems such as earthquake, blast, high temperature, irradiation effects, soil-structure interaction effect, etc., are also discussed. 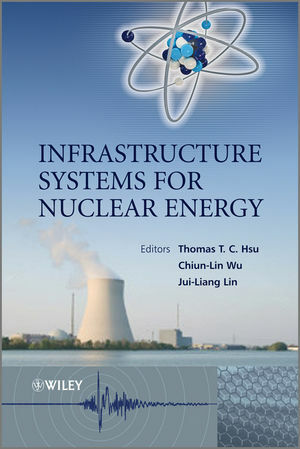 Infrastructure Systems for Nuclear Energy is a comprehensive, up-to-date reference for researchers and practitioners working in this field and for graduate studies in civil and mechanical engineering.